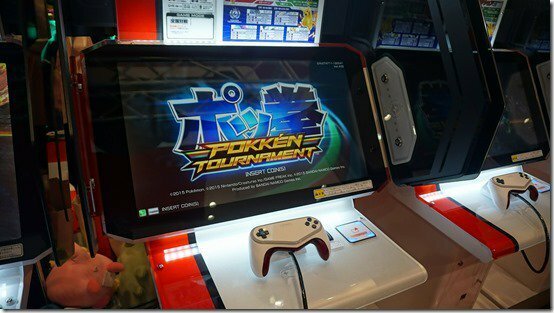 The Arcade version of Pokken Tournament is about to have its online service shut down. Bandai Namco has announced that the service will be terminated on March 25th, 2019. This means the game will no longer support National Versus mode, the First-Time Tutorial Service, and the Banapassport card will also no longer be usable on the machines. The Pokkén Tournament portal website will also shut down on March 25th, 2019. Even in the training mode I think they compare the fighting to rock paper scissors. The basic combos can be spammed yes, but there&apos;s a counter to the spam: Your Counter Attack (or if you have a full Synergy Gauge, Burst Mode and/or the Burst Attack will stop basic combos -- if you don&apos;t have a full gauge, but a full Support Gauge, your support Pokemon can interrupt some types of basic combos). You&apos;re not limited to just basic spam. If you get creative like how the Combo Dojo teaches, you can get "custom" combos that are hard to stop outside triggering Burst Mode, the Burst Attack, or summoning a Pokemon like Magikarp. I realize that, but it&apos;s not even close to a Tekken or a Street fighter, or even a smash. Plus most of the B and B combos are half mash half asst. Plus the counter is 1 thing and there&apos;s 1 counter to that which is indeed spamimg. Again it doesn&apos;t make for much of a deep gameplay well to draw from. I&apos;ll admit the counter system isn&apos;t robust enough and some of the time the basic combos are all one needs (since hell the final boss in single player is very vulnerable to short basic combos), but one just needs to step into unranked online and you will be punished badly for spamming and you need great knowledge of your chosen Pokemon to know how to counter your enemy and open them up to custom combos.